October baseball for me lasted less than a week as the Indians have been swept out of the ALDS by the Houston Astros. 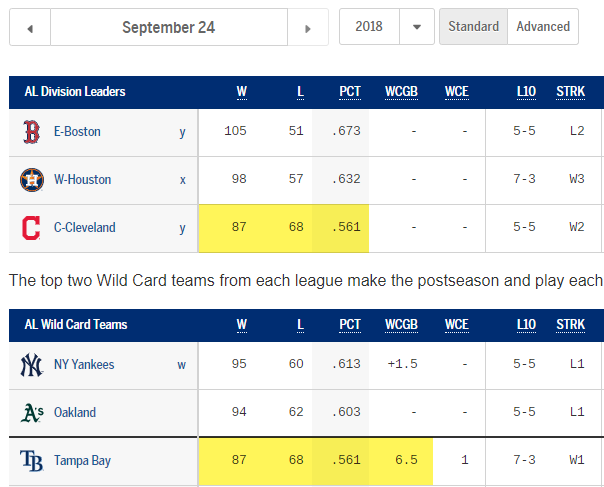 🙁 And thanks to major league baseball scheduling all the games in the afternoon (to put the Boston/New York series in prime time) I didn’t get to watch any of them. Which I guess, in hindsight now, was a blessing in disguise. Oh well … looking forward to Spring Training 2019! Here’s a graphic I haven’t seen in a while. 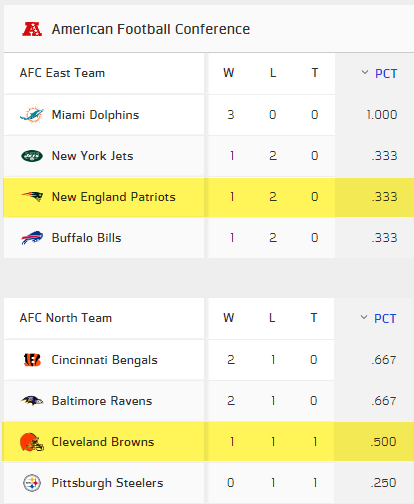 The Browns are “in the hunt” for the playoffs still! ?